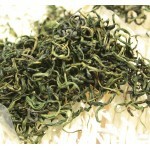 This tiny red berry has a 3000 year history throughout Asia as a potent anti-aging herb. Did you know that in some remote places, a life expectancy of more than 100 years is not uncommon? Many of the world's longest living people consume regular daily helpings of a tiny red fruit that may just be the world's most powerful anti-aging food and the most nutritionally dense food on the planet—the goji berry. 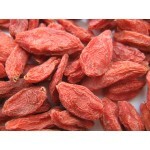 Name: Goji Leaf Tea Other name: WolfBerry leaf , Wolfberries, GOJI Berry, Lycium, Gou q..
Name: Goji Other name: WolfBerry, Wolfberries, GOJI Berry, Lycium, Gou qi zi Grade : TO..